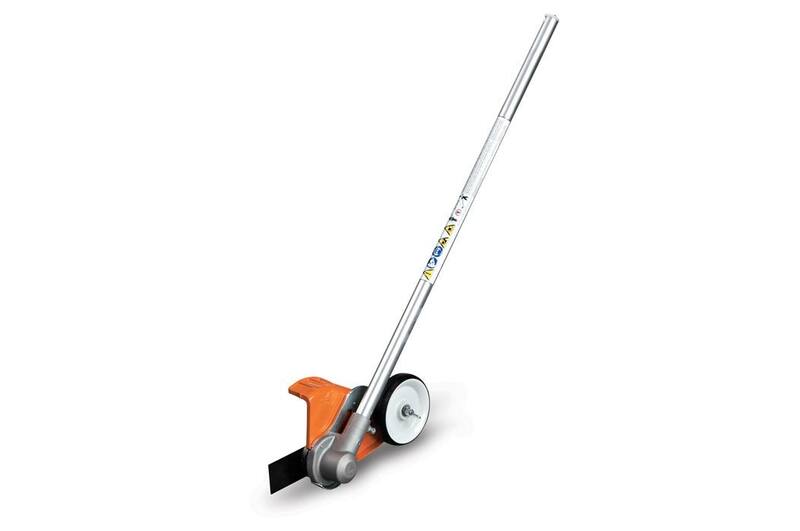 This STIHL KombiSystem straight lawn edger attachment cleans up edges with more power and an open guard design. When your landscaping lines are overrun with dense growth, choose the FCS-KM straight lawn edger attachment. This STIHL KombiSystem attachment delivers more power to the cut and features a depth control wheel for greater precision. It also features an open guard design for smoother cutting and less clogging. When messy lines cross the line, STIHL KombiSystem has the solution.